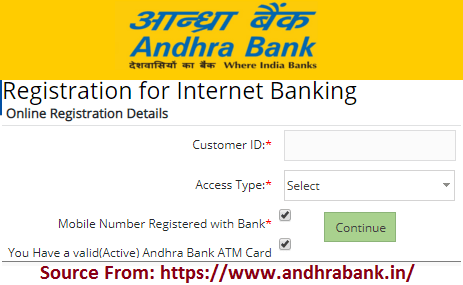 Procedure for Activating Andhra Bank Net Banking Online Registration or Andhra Bank Internet Banking Online Registration at www.onlineandhrabank.net.in…. Here we talk about the Andhra Bank, this a popular medium and upcoming bank in the Indian country. The bank has grown and spreads it branches all over the country. There 2803 branches in India and 3636 ATM machine distributed and serves the Indian citizens without visiting the bank. Tracing back in history Andhra bank was the first to start issuing credit card. This was in the year 1981 and other banks considered the idea which was taken up to date. It has the best insurance policy and ranks as number one in life insurance matters. Whose idea was it to start the Andhra bank? The bank was established in the year 1923 in the state of Andhra Pradesh a town named Machilipatnam. The co-founder of the bank was Dr. Pattabhistitarmayya. In the same year the month of November 28 the bank open its doors to the citizens and many down the line the bank still functions. One needs to learn that the bank is owned by the Indian government. This happened in the year 1980 from being in the private sector. This the easiest service provided by the Andhra bank. It give the account holder the full access of their bank. One needs not the visit the bank to transact. The account holder needs to register with the bank and activate the Andhra Bank Net Banking service. Below are the few steps one should follow. On the home page one will find internet banking login. Select the Retail Login tab the click on the continue login to Andhra Bank Net Banking tab. After the above process select the new user signup button. A new page will open and you have to fill in the Customer ID. Note the customer ID is written on the passbook and also on the account kit provided by the bank while opening the account. Now the system will show on the screen two option for you to select. Mobile number registered with the bank. Active Andhra bank ATM card. Choose one of the above then press the continue button. Individuals without the customer ID or have forgotten can request the bank to provide it again. With all the above process now key in your registered mobile number on the new page. Select then proceed button where the bank will send you an OTP. A new page will show after clicking the above option. Key in your customer ID on the given box then submit. Enter a password with is strong but easy to remember, try using alpha-numeric characters. Re-enter the password and read the term and conditions of entering the password. A new page will open indicating personal login. Two boxes will show where you will enter your password and user Id. Submit the details and in few seconds a success message will show. Your password should be a secret, but you need it to transact online. When the home page opens go to the security settings. Select the change login password then key in your old password. Now key in a new password. The system will ask you to re-enter the new password. 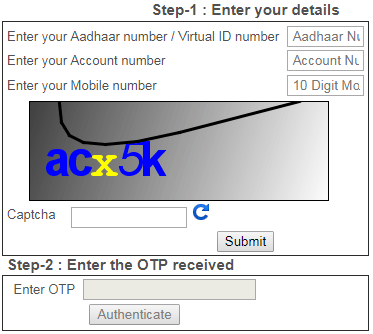 An OTP will be sent on your registered mobile number. Enter the OTP then select the submit button. On the menu bar go to the security settings. Here select the change user ID. You can also update the master user ID press the update user ID. Key in a new user id and your password then submit. They can be used on any ATM machine since they are VISA and MasterCard. The bank has not attached any fee on the card. The card doesn’t have the fee waiver on the first year. The master card and Visa holder will get a waiver on RS 18000 spend on the previous year. Whenever you purchase using the card you get a fresh credit period. If you loss your card the bank gives an insurance using the credit card. The card doesn’t charge the clients for withdrawing. The statement is available and can be sent via the valid email address. The card get the card holder reward points. Andhra bank platinum credit card. Andhra bank gold credit card. Andhra bank classic credit card. Who are eligible to hold the credit card? The bank considers the all citizens for the non-citizens the bank has few consideration to make. They bank require the credit holder to have an income of RS 1.8 lakhs. Andhra bank issues the card by jut the deposit amount you make in your account. One can apply for two cards which can benefit the family members too. Get the application form fill in the details correctly. Give two clear most recent passport photos. Your salary slips have to be recent. A photocopy of your PAN card. For the first timers the need to register with the bank to get the balance on your registered mobile number. After the registration select the credit card on the menu given from the official website page https://www.andhrabank.in . Option will show on the drop down menu: balance enquiry, bank statement and bill payments. Click on the option you want and if selecting the balance enquiry. The Andhra bank has an SMS service for balance enquiry where the credit card holder can access banking services. You need to be registered to use this service the bank will be sending the balance via an SMS. The transaction will show and produce the right figures in your account. The central government has authorized for all citizens to link their Aadhaar card to bank account and other important card. Here we discuss steps in which one can link the card. Place the Mouse pointer on “Online Services” mentioned in Menu Bar on top of the page. Now Enter your details like Enter your Aadhaar Number, Enter your Andhra Bank Account Number and Mobile Number. You Must type the Captcha Image as shown in the box. Click on Submit. Then you will get the One Time Password to your Registered Mobile Number. AADHAAR 15 digit account number12 digit Aadhaar number to 56161.